Do you plan to become a singer? Take the time to learn better vocal methods. This can be beneficial no matter what your reasons. 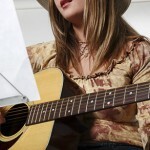 These tips for new singers help to improve your singing voice so you have a happy starting point. Whether you sing in the shower or are planning for a major audition, you should improve your singing voice first. Many people in the world harbor an immense desire and passion for the art of singing. They want to learn singing techniques for self improvement and self esteem. Truth be said, they sing because it makes them happy! From celebrities to regular people mimicking a tune in their showers, singing is widespread phenomenon. Yes, it erupted centuries ago and is continuing to flourish today. With the heightened quality and experience needed to be considered a good singer, some hire vocal coaches. Or, they undergo other vocal training to improve their singing voice. These people want to become the true singer they aspire to be. The voice is one of the most complex instruments known to the music community. And, learning singing takes a lot more work than expected. Especially, if you want to achieve the caliber that is required to compete at the professional level. Whether you sing choral, opera, mainstream or more, these tips for new singers can improve vocal quality. And, they propel the singing voice to the next level. 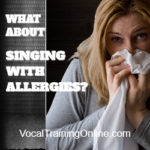 Breathing acts as a very important component for vocalists. So, you must master breathing techniques in order to correctly improve singing voice. A common misconception is to breathe with your chest. However, the diaphragm is where breathing must be contained. Breathing with your stomach and not your chest allows your lungs to fill with the needed air to sing. And, breathing effectively balances and controls the tone of voice. Posture factors in when trying to improve your singing voice. Yes, good posture must be mastered to acquire the professional voice needed to be an avid contender in the music industry. Place your feet shoulder length apart. Then, slightly raise your arms. With a very relaxed nature of the body, your voice projection increases. Posture also gains you the natural ability to hit high notes and sharp notes more clearly. When you learn the true natural comfort zone of your voice, you will improve your singing voice tremendously. And, this prepares you for possible future talent searches or demos for record companies. Your singing voice requires as much attention to sing at family gatherings as it does for an audience. You need preparation and dedication to truly improve your singing voice and contend with the big boys. Singing goals become real when you are prepared. And, you need goals to make your mark in the unforgiving realm of the music industry. 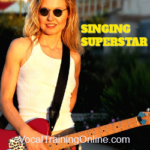 One of the best ways to improve your singing voice is to take professional vocal training. You can learn from a voice teacher locally. Or, find one of the many singing courses online to help you learn more quickly. One online course I admire is by Singorama. ==> See all the details about Singorama here. Actually, I wrote a complete Singorama review on this site to give you an idea of what’s involved. Now, are you eager to learn more about singing? 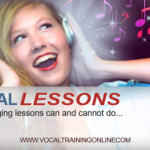 What Can Vocal Training Do For You? 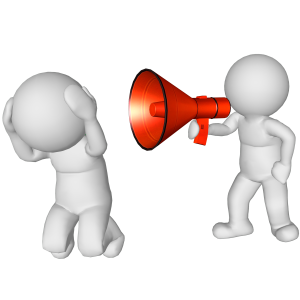 Remember, your voice needs tuning – just like a musical instrument. Let’s face the facts. It’s no secret that singing, dancing, and acting are common hobbies artistic-minded people may take with them through adulthood. And, you may be one of them. But sadly, not everyone can do these things professionally.